The implication of goal-line technology has approved by the International Football Association Board (IFAB) and could come to the Premier League before the end of the forthcoming season. The vote at FIFA HQ in Zurich has approved two different systems - HawkEye and GoalRef - which will first be employed in tandem at the World Club Cup in Japan this December. If the scientifically-approved systems are successful then the technology will be brought to next year's Confederations Cup and then the FIFA World Cup in 2014. The Premier League has released a statement saying it is keen to incorporate as soon as possible, meaning it could be a feature at English grounds after Christmas. "We welcome today's decision by IFAB and will engage in discussions with both Hawkeye and GoalRef in the near future with a view to introducing goal-line technology as soon as is practically possible." The FA says it may be December, before the technology is fully approved, but once that happens, it will be up to the Premier League to introduce the systems at its discretion. 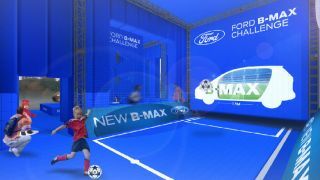 FA general secretary Alex Horne said: "The Premier League need to talk to the two [technology providers] and the clubs. My understanding is that clubs are supportive and, in principle, as long as all clubs agree it could be introduced part-way through the season, it could be before the start of 2013-14 season, it could be part way through. "It might be that it is possible to have it part way through the [2012-13] season. If all 20 clubs agree a switch-on weekend I don't think anyone is disadvantaged." Stay tuned to TechRadar for more news on this game-changing announcement.